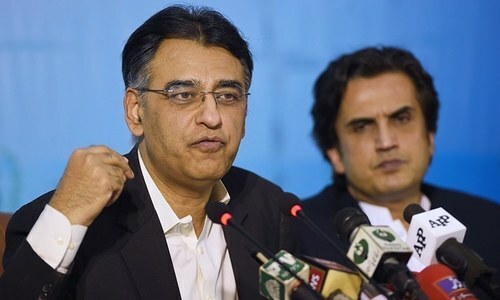 WASHINGTON: Finance Minister Asad Umar met the World Bank Group President David R Malpass and senior officials of the International Monetary Fund on Wednesday as part of an effort to seek a three-year bailout package. Did someone said a while ago that we don’t have to go to IMF and we would be lending to world!! Summer weather in the US is pleasant. When Qureshi will be visiting? 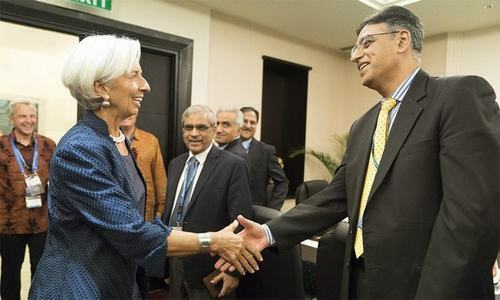 This time IMF have more bargaining leverage. The international banks are edict with our corrupt politicians and it is very hard to convince that we will play fairly at this time. What happened to 9 Billion Dollars which Pakistan received from various countries after IK became PM. Anybody knows anything about DAM Fund and where money is right now. I hope this is the last time! Pakistan needs to come out of this debt trap. 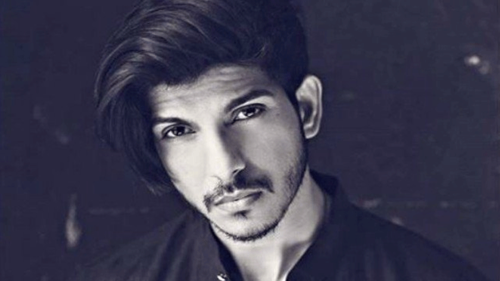 I’ve lost my hope on this guy. His responsibilities should be realigned. Inexperience is clearly exemplified by his knee-jerk actions. Oh, no! What gift is he bringing this time for his country's people? One should be afraid even to think about the same. @Nasir, This won't be the last time. Just a few months back both him and PM said, we do not need to go to IMF as the friendly countries generously offered loans. Then came the statement, that we now can negotiate with better terms with IMF. Now with all the data around economy, not sure what negotiating terms pakistan has. Making a fool of pakistani citizens. Asad earlier said they don’t need IMF and US. If US does not approve there is no way IMF can give loan. Even India have around 2.7% voting rights. Streamlining domestic investment in new industries will bring in foreign investors. Without domestic investors sharing the risk, foreign investors will stay on the sidelines or invest in other emerging economies. Digital Transformation and analytics based quicker decision-making process is needed and not based on monthly reports prepared by officials of various institutions and agencies with vested interests. Analytics based decision-making will allow use of live data, and decisions will be made on the spot rather than months and years later. This is how decisions are being made and implemented in record times with less resources. This is how state Gov't of California is doing here. Learn and change. Change and learn. Pakistan must first introspect what went wrong with the economy that led to present scenario. These shameful comments are due to the doings of PMLN and PPP by looting the nation for nearly 30 years. @Indian, that would be zak saying that. Where is the $200 billion black money that was supposed to be stashed abroad? Hope some understanding is reached with IMF. But in his pre-election campaign speeches, he and his party shunned World Bank and IMF saying if elected to power by the people of the Islamic Republic of Pakistan, they will not seek help from these white elephants anymore? Asad Umar has no economic vision . 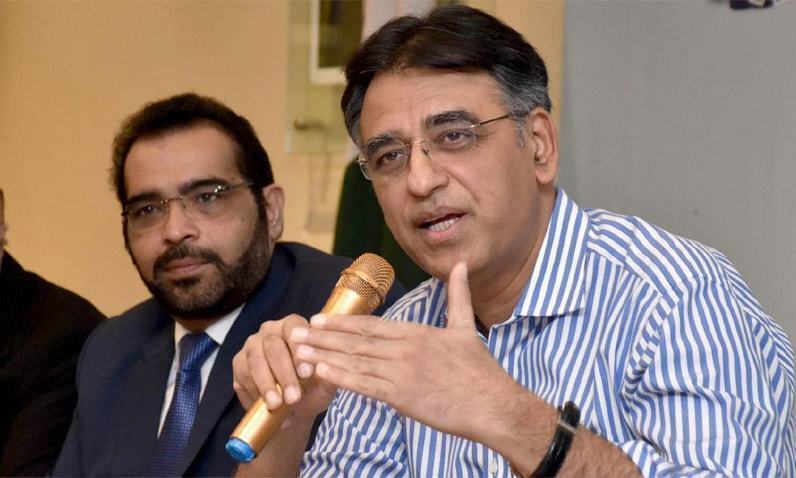 Job of Finance Minister is to manage the crisis and give hope to investors, where Asad Umar is spreading Panic Since Day one . Pakistan will get another bailout but this won't be the last one sadly. How can any country survive with such a huge import bill and ever decreasing exports is beyond me. Why doesn't government backs private sector to build manufacturing industries like automobile, electronics, and services sector like IT services. Law and order situation has improved, huge skilled young population but this will require structural changes like removing the red tape and corruption which won't be done by this government. Not going to get a single penny from IMF, this government is incompetent to highest level. If Pakistan government really want to get out of this financial crisis, they must immediately change the design of five thousand and one thousand and Rs. 500 currency notes. Government should give 30 days notes to deposit all the money in the banks or it will be invalid after 30 days. These amounts are deposited in game-changer CPEC-account. It would be celebration time as soon as he confirms approval of the programme on phone to news channels from Washington. @Waseem Sarwar, - you are right. Next one will be before 2021. The world bank and IMF know first hand now the sixth most populous country has a finance minister with no economic vision or qualifications. 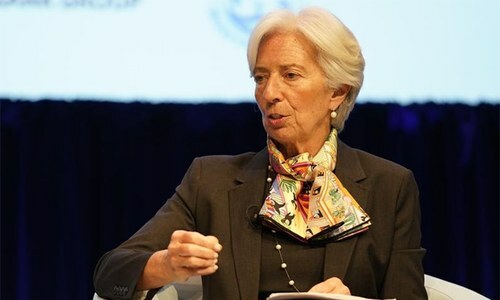 "The latest IMF projections for Pakistan also highlight a widening gap between the government’s revenues and expenditures"
Sale all State-owned enterprise, close down all useless government departments and fired half of government employees, simple and easy solution, instead of putting all burden on private sector which eventually decrease exports.
" also scheduled a bilateral meeting with US Treasury Secretary Steven Mnuchin on the sidelines." Tmeeting never happened.Big snub.